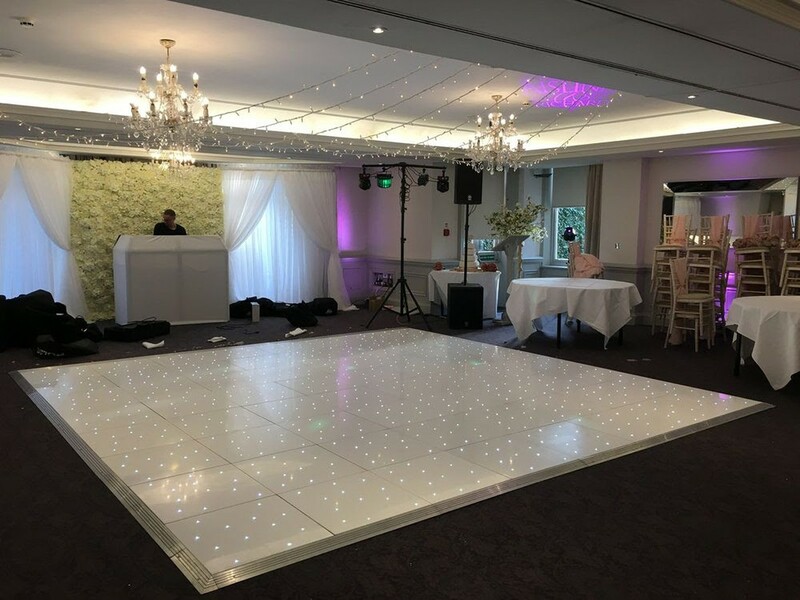 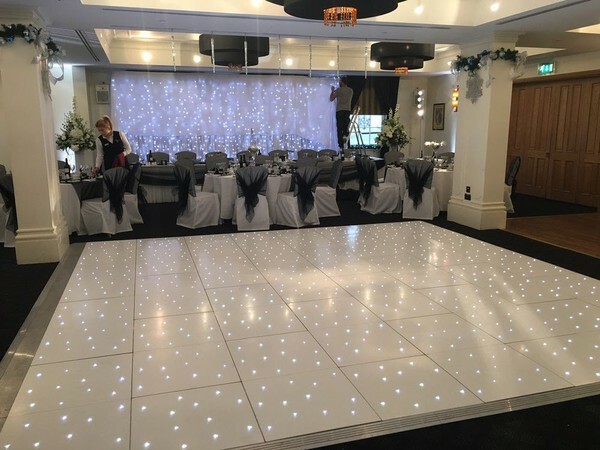 A complete Portable Floormaker 16ft x 16ft White Starlok LED Dance Floor comprising of 28 full, 8 halves, full silver edging set, transport trolley, power controller, and a complete floor wiring cable set. Purchased from Portable Floormaker brand new and has only been handled by us for rental purposes to weddings and events. 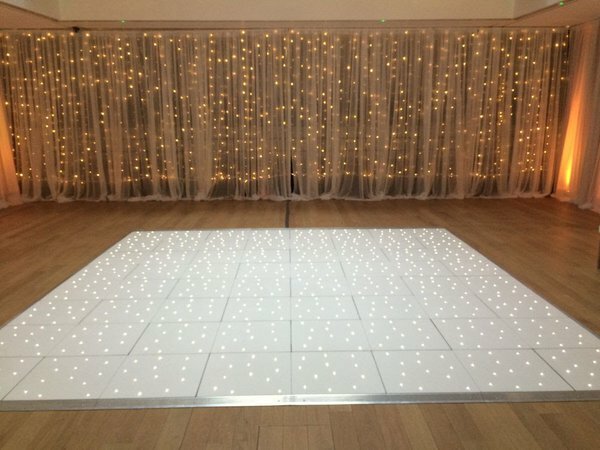 Panels are structurally in very good condition, with this ready to go out into rental, or for installation into a venue. 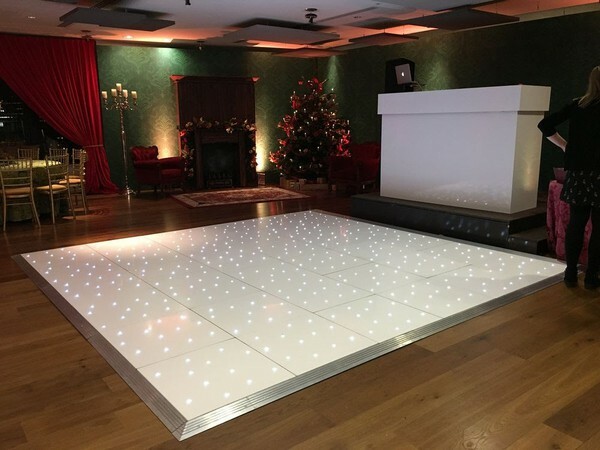 All panels are fully electrically working with all leds illuminating, and the floor is ready to instantly go out to work!